And no, its not the Walkcar (see below)! A laptop on wheels can only come out from Japan. And the Walkcar buzz is still ringing in our ears. The jury is still out on whether its the dumbest idea or the most revolutionary one. One can imagine their tagline to be “Walkcarry me everywhere”. Well, that one is in the works but till then, there is a claim to the World’s lightest electric transporter that is already in production. Known as the ZERO, its carefully handcrafted body is layered with a beautiful gloss of carbon fibre. just like the e-twow, it operates using regenerative front brakes. The rear step brake is a little bit on the small side but thats understandable. The ZERO is truly revolutionary. It fits anywhere. In a backpack, over your shoulder, in your luggage, travellers waiting for the Walkcar to eventually happen will need the ZERO and can get the ZERO much sooner. The ZERO has 2 battery sizes: the 7.8Ah and the 10.4Ah. 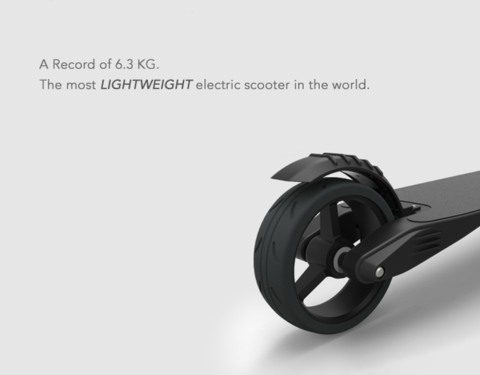 The 7.8Ah is currently the World’s lightest electric scooter weighing in at an astounding 6.3kg! 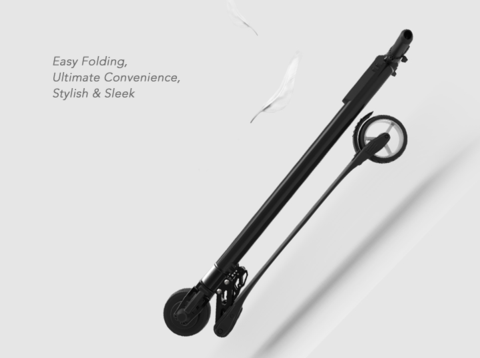 Thats almost as light as some manual kick scooters. We had a ride on it for 15km and though the ride was rough as can be expected from its 5 inch wheels, the flexibility of the carbon fiber deck did absorb alot of the vibration. The motor was surprisingly strong too and gentle slopes were not a problem with our 70-80kg body load. If all that lightweightedness has impressed you somewhat, check out the ZERO. The ZERO — only 6.3kg. The Lightest Electric vehicle. Full carbon fiber deck and frame.